“Santa” brought Jenna(4) a subscription to the Magic School Bus Science Club this year. It was a 50% off deal through Homeschool Buyers Co-op. That comes out to $12 a kit, which is totally worth it. A lot of these experiments you can do at home for free. The only drawback is that you won’t have the teaching script to read from. I’m not going to lie, the script is pretty nice because it’s so foolproof. But if you go to the library and check out some books, you’ll probably be fine. Dancing raisins. You need raisins and fizzy water. Drop the raisins in the water and watch what happens. First the raisins sink because they are heavy. But then the gas bubbles (which are light) attach to the raisins and lift them up to the surface. Blow up a balloon. You need at 2 liter bottle, vinegar, baking soda and a balloon. Drop baking soda and vinegar into the bottle and attach the balloon. If we had used a 2 liter bottle this would have been better. What happens is that the baking soda and vinegar make carbon dioxide, which takes up room and forces the air out of the bottle up into the balloon. Our dinky little bottle didn’t have enough air in it to blow up the entire balloon. Note to self, buy 7-Up! The citric acid and the baking soda inside the Alka Seltzer tablet react to produce the gas, which is lighter than water, so the bubbles rise to the surface. Milk goop. You need milk and vinegar. Mix 4 parts milk, 1 part vinegar. Wait 10 minutes. The vinegar causes the protein casein to separate from the milk. The result is an ancient type of Egyptian glue. More goop. You need cornstarch and water. Mix two parts cornstarch and one part water. Use your hands! This is an experiment you have to feel to understand. The result is not exactly a liquid, but not really a solid. It changes forms depending on how you squeeze it. That was a lot of fun! We still have two more experiments to do before we finish the kit: making slime and a bouncy ball. For more information about the Magic School Bus Science kits, visit the Young Scientists Club website. The biggest learning point for me after doing the Daniel Fast was how much I now appreciate water. Clean drinking water isn’t something to take for granted. Head over to Water1st International to find out why. Exploring rotational symmetry with cookie cutters. Bruce had homework regarding rotational symmetry and it totally confused me because I’m really bad at visual-spatial things. What is rotational symmetry? That means a shape that can be rotated less than 360 degrees and still look the same. More info right here. For spatially challenged people like me (you should see me parallel park! ), rotational symmetry can be hard to picture. Hands-on learning can help. A long time ago, I blogged about using flour and cookie cutters to learn about flips and turns. Guess what? That idea also works for rotational symmetry too! First draw the X and Y axis in the flour. Then start experimenting. This butterfly does NOT have rotational symmetry. Neither does the shamrock. It does not look the same until a 360 turn. A circle definitely has rotational symmetry. But this one’s pretty obvious. A little bit of masking tape and this becomes more interesting. At 180 degrees, this shape has rotational symmetry. A word to the wise: this activity is messy! It’s the perfect example of something that would be really hard to do with thirty fifth graders in a classroom, but doable with your child at home. Just be sure to have a vacuum ready! I seriously have got chills. I just finished reading Prepared for a Purpose: The Inspiring True Story of How One Woman Saved an Atlanta School Under Siege . I read it start to finish in one day. That’s how good it was. This book is by Antoinette Tuff with Alex Tresniowski. It tells the true story of how Antoinette interacted with a mentally disabled gunman at Ronald E. McNair Discovery Learning Academy in Atlanta, Georgia, and talked him out of going on a shooting rampage. I used to be a public school teacher and I send my son to public schools every day. So believe me, when I was reading this book, I paid attention. But the story of the tragedy averted is only one half of this book. The other is the autobiography of Antoinette herself; how she grew up in the home of a single parent, spent time being homeless, lived on food stamps, had a baby out of wedlock, got married, suffered divorce, and raised two of the darn finest kids you’ll ever meet. That second half of the book is equally as inspiring as the first. Prepared for a Purpose is published by Bethany House and has a strong Christian frame. I liked that about it, but was also a little bit sad because it means the book would be unsuitable for school districts to pass around for their employees to read. I think anyone who worked in a school would benefit from reading Antoinette’s story of cool thinking during lock down. A final point is this book was also written by Alex Tresniowski. This is a guess, I’m assuming it was Tresniowski’s decision to structure the book the way he did. The mix of McNair and biography is brilliant, fast passed, and kept me turning pages as fast as possible. Nicely done! P.S. I received a free copy of this book from the publisher in exchange for my honest opinions and review. Kit 30 from the Young Scientists Club is about owl pellets. Our latest Young Scientists Club kit has come in the mail! Kit 30 came with an owl pellet to dissect. There were also some food-chain pictures to cut out, but the main event was looking through poop. This activity can last between ten minutes to an hour, depending on interest. This owl ate a lot of critters! If you’re interested in doing owl pellet dissection at home, you can find materials on Amazon. We’re kicking around the idea of doing an owl dissection birthday party when Bruce turns 9. That’s how much he loved this! The real question is, how long to I have to have a dead rodent skeleton on my kitchen counter? The board is back in action! A look at today’s lesson, and Jenna’s emergent handwriting. 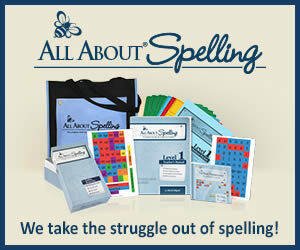 All About Spelling is hands on, idiot proof, and fun. That’s why it’s worth finding time for. That’s why (disclaimer) I signed up to be an Affiliate. Today I reviewed the Level 3 cards with Bruce and he aced them. Wow! He remembers! My son Bruce(8.5) loves Basher Books so much that he reads them over and over again. I still don’t exactly understand the appeal, but appreciate how much he’s learned. If Trivial Pursuit ever becomes popular again, I want Bruce on my team. Today at the bookstore I came across The Math Book: From Pythagoras to the 57th Dimension, 250 Milestones in the History of Mathematics by Clifford Pickford. It’s the closest thing I’ve ever seen to a Basher Book for adults. I am very sensitive to violating copyrights, so I’m not going to share an interior picture, but this book has topics like “St. Petersburg Paradox” on the left-hand page, and then a really cool picture on the right. Sound familiar? I bought this book for myself, but I’m pretty sure Bruce will read it too, especially if I leave it on the kitchen table next to his cereal. FYI: My version is leather bound and cost $20 at Barnes & Noble. The paperback version on Amazon is a lot cheaper. Trying to stay warm? Add another log to the fire and indulge in a bit of armchair travel curtsey of Kendra Thornton, fulltime mom of three and former Orbitz Director of Corporate Communications. Kendra is currently collaborating with bloggers to highlight hometowns around the country. She suggested we share our favorite things about her hometown and mine. Stay tuned at the end of this post for my favorite things about Edmonds. Chicago is home to some of the world’s most famous landmarks, sports teams and chefs, but if you ask people what they like most about this city, you’ll probably get “how nice everyone is.” Chicagoans have a lot of time to bond during the harsh winter seasons and enjoyable summers, but it’s also because this Midwestern metropolis has some incredible arts and culture, restaurants, architectural wonders and luxurious hotels for pretty affordable prices. In fact, many of the sights are free to enjoy. Here are some of the best places to check out when you’re visiting Chicago and want a genuine local experience. The Michigan Avenue Bridge is a rather famous landmark for Chicago being that another one of its names is the “City of Bridges.” However, the Michigan Avenue Bridge is arguably the most famous one. It was finished in 1920 and features impressive sculptures on four pylons that recall major Chicago events like the Fort Dearborn Massacre of 1812. The bridge goes across the Chicago River in downtown. It’s a great place to walk for an afternoon or at least take a ride to get to connecting parts of downtown. It was once a wasteland, but in 1997, Mayor Richard Daley decided to change something about downtown Chicago that had been forgotten about. He took an area that had been abandoned and gave it a purpose. Now it’s known as Millennium Park. This public park is now the heart of the city. It features modern architectural pieces, sculptures, landscape design and all kinds of art. There are also a few different free cultural programs to enjoy every week. If you want an afternoon to explore and take photos, Millennium Park is one of the best places to do it in Chicago. Chicago is well known for its food. No one can deny the goodness of a Chicago-style deep-dish pizza, but when you’re looking for variety, there’s no end to the type of restaurants that you’ll find across Chicago. The South Water Kitchen is one of the most ideal places to catch breakfast, lunch or dinner, and it’s located right in the Loop. The chef is a native Chicagoan, so the menu is mostly American classic fare. However, you’ll find something for every kind of eater in your party, particularly if you have some children traveling with you. The restaurant is open for early breakfast at 6 AM as well, and it has pretty fair prices for the amount of food. If you’re going to visit Chicago, you’ll be upset if you miss the chance to see the Chicago skyline. There are a few hotels in downtown that can provide you with this incredible view. The Drake Hotel is a historic spot to stay that is also quite luxurious, but if you want to compare all of the different luxury hotels and check out ratings, you can use a site like Gogobot.com to find the right hotel. It’s easy-to-use and has all of the different Chicago neighborhoods to select from so you find the ideal place to stay. Everyone has heard of Seattle, but do you know about Edmonds, the quaint little town in Washington State that’s thirty minutes north of the Space Needle? With a population of about 40,000 people, Edmonds is hometown to such notable figures as Rick Steves, Rosalynn Sumners and Anna Farris. Edmonds boasts mountain views, art galleries and beaches. Parking is plentiful, and there are activities for every price point and age level. Nama’s Candy Store on 5th Avenue is an old time candy store that smells good as soon as you open the door. They sell bags of taffy for as little as a dollar, plus they have old fashioned candy sticks for ten cents each. So no matter what your allowance, there is fun to be had. Also on 5th Avenue is Baicha Tearoom. Four dollars will get you a huge pot of tea to share with your whole family. Another four dollars will buy my daughter’s favorite lunch of all time: a sandwich, grapes, and her own personal pot of hot chocolate. If you are in the mood for a healthy treat, try out Revelations Yogurt on Main Street. My kids love Revelations because they get to taste all of the different frozen yogurts available, and then serve themselves. There is also an extensive topping bar full of candy and fresh fruit. You pay by the ounce at Revelations, and the prices are comparable with Dairy Queen. Down the street from Revelations Yogurt is Teri’s Toybox, an Edmond’s icon. You won’t find any junky toys in Teri’s Toybox, just classic toys and cool things from Europe. But FYI! Don’t take kids into Teri’s Toybox unless they each have ten dollars to spend. Otherwise you’re setting yourself up for drama. Glazed & Amazed is also on Main Street, and is a really fun place to go with kids of all ages. It’s a paint-your-own-pottery store that also offers the opportunity to do fused glass. My kids know that a trip to Glazed & Amazed is a really big treat because it costs about fifteen to twenty dollars a kid. (There are less expensive options to paint, but the piggy banks are hard to say no to.) Another fun thing about Glazed & Amazed is keeping an eye out for the store cat. If there is a particular place on this list that you really want to see, be sure to check the store hours before you visit. At the time of this blog post, Nama’s Candy Store is closed on Mondays and Baicha Tearoom is closed on Sundays. Revelations Yogurt usually isn’t open until noon on most weekdays in the winter. But guess what’s open every day of the week? Brackett’s Landing. This is one of my favorite Puget Sound beaches and it is right by the Edmonds ferry dock. Even when it is pouring down rain, it is fun to park the car and watch the ferry come and go. If you’re lucky, you might even see a train go by.